Took off from Detroit (after touring the Henry Ford museum) on a 13 hour flight to Beijing (PEK) arriving in the afternoon on the next day. We hit the ground running! A driver and a tour guide met us at the airport and drove us around Beijing. We saw the "Bird's Nest" and the "Bubble" Aquatic Center in the Olympic Park area. The sun set and Beijing lit up with huge LED billboards all around. We checked into the Prime Hotel which is only a 15 minute walk to the South gate of the Forbidden City. The next morning we met another tour guide for a group tour of Tiananmen Square, the Forbidden City, Temple of Heaven, and Summer Palace. People everywhere - large numbers of Chinese tour groups visiting these key landmarks in their country. We toured a silk and pearl factories. We've only been in China for 24 hours and we've already seen so much! Day 2 excursion takes us a couple of hours out of the city center to our first stop, the Ming Tombs. 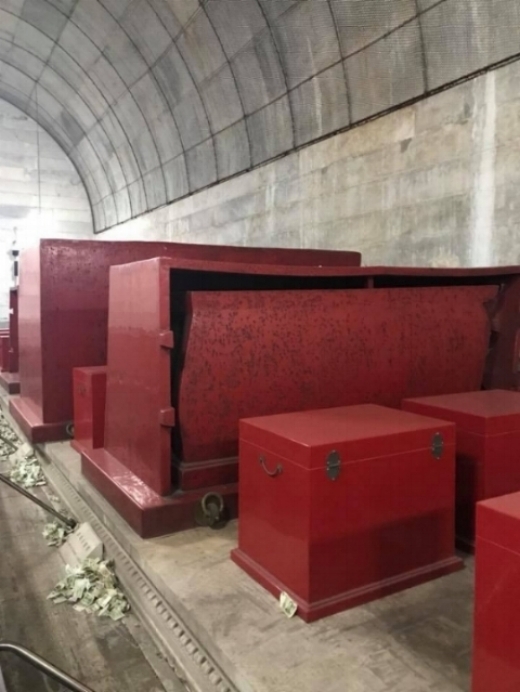 The Emperors, Empresses and concubines are buried in these underground bunkers. You have to descend several steps down to walk through these cement bunker. If you are crunched for time, skip this excursion and go straight to the Great Wall so you will have more time there. This stop is okay, but NOT a Must Do. Bú dào Chángchéng fēi hǎohàn. Not reach Great Wall not good man. One of the first images that comes to our mind when someone says China is the Great Wall. One word describes it - Ginormous!!!! We traveled to the Mutianyu portion of the Great Wall. 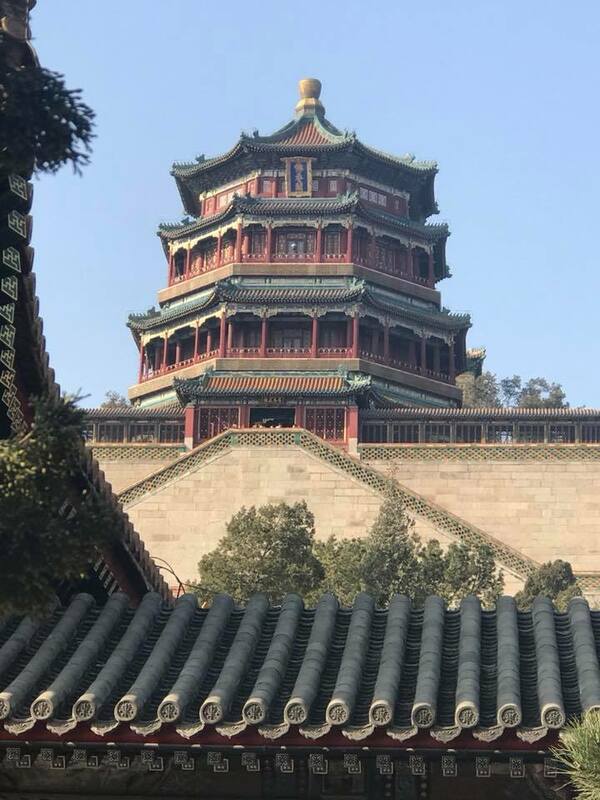 This portion is about 45 miles northeast of central Beijing, but the traffic out of the city and the curvy roads up to the Great Wall make the travel to it longer than a usual 45 mile jaunt. This stretch of the Wall is popular because of its proximity to Beijing and the way you get up to the wall from the base. The mode of transportation up is a chairlift. No climbing big stone steps here! But, hang on, the way down is even more fun. You can either take the chairlift back down or feel the breeze in your hair as you head down in a toboggan. That's right! Down the hill you go in a sled/toboggan with a hand brake. Hopefully, you won't have a "chicken" in the toboggan in front of you pulling back on the brake the whole way down holding you back from letting it go. Whee! So far, we have only seen Beijing and the surrounding area in China and I'm blown away by the whole experience. I can't wait to tell you about the two other cities that we visited and get this - we flew to Seoul, Korea too. Stay tuned for our next blog post.